KERATIN HAIR SHAMPOO Shampoo enriched with Keratin that cleans, fortifies and nourishes all types of hair, giving it strength, elasticity and vitality. KERATIN HAIR CONDITIONER Conditioner enriched with Keratin and other ingredients such as walnut, chamomile, sage, mint, rosemary and horsetail. It’s designed to fortify and nourish all types of hair, also making them easier to handle through enhanced flexibility. For Anti-Ageing and Restored Volume. A weightless and volumising scalp treatment containing the stem cells of a rare Swiss Apple, PhytoCelltecTM Malus Domestica. CELLUCOVERYTM Scalp Tonic Treatment uses a concentrated amount of cellular plant properties to protect the longevity of hair cells. 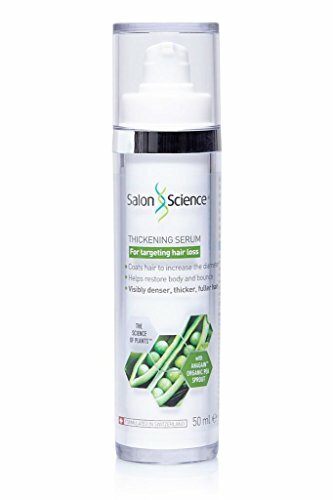 The science works to stimulate, nourish and rejuvenate hair follicles resulting in stronger, thicker, healthier hair in 8 weeks. Apply to dry or partly dried hair. Use one full pipette directly on and around the scalp by gently squeezing the rubber bulb to dispense the drops. Massage into the scalp to help stimulate micro-circulation. Do not rinse out. Style as normal. Use once a day for 8 weeks and continue use for long-lasting results. 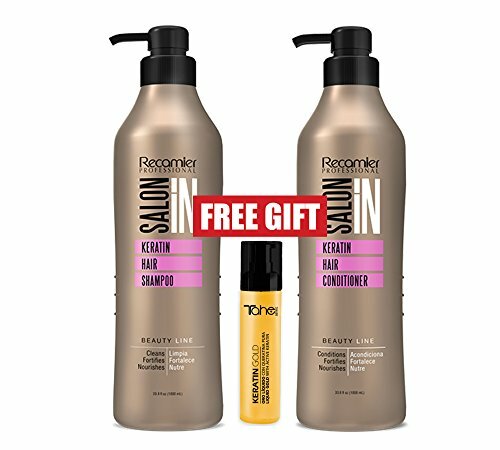 For best results use with SALON SCIENCE® CELLULUXETM Shampoo and Conditioner. For fine and fragile hair!